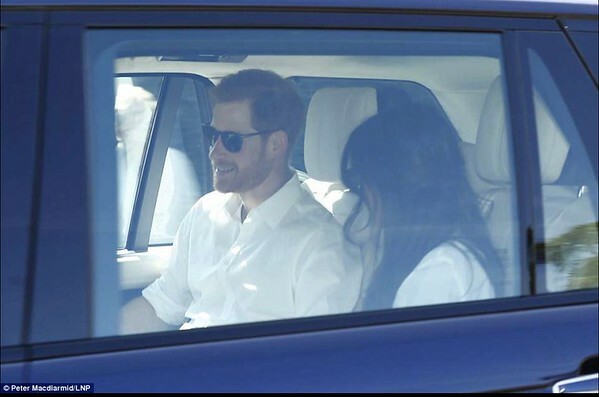 On Thursday, Prince Harry and Meghan Markle, were spotted leaving Windsor Castle. 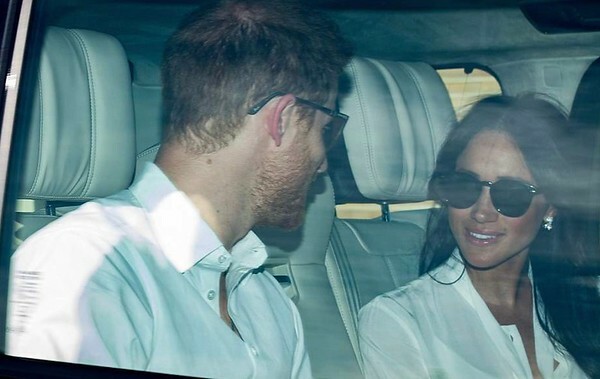 The lovebirds were all smiles after leaving the rehearsal for their upcoming wedding, which will take place at St. Georges's Chapel Saturday. This has been a hectic week with family drama attempting to disrupt the festive mood of the royal wedding. 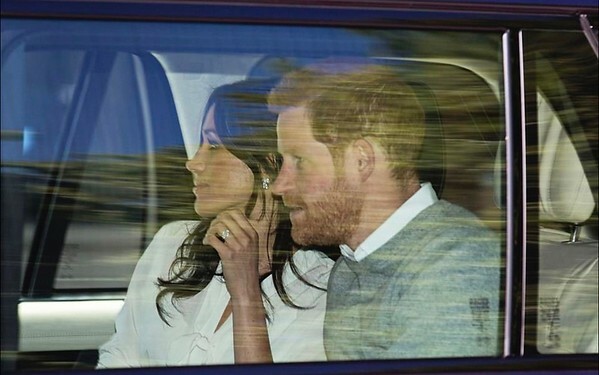 Some of Meghan Markle's family had the audacity to show up in London, even though they were not invited to the royal wedding. Most of them have spoken ill words toward Meghan, all based on jealousy and envy. Yet, they expected her to invite them to her wedding? Chile. I can't. It's good to see Meghan has kept a smile on her face and focused on her wedding this Saturday to her handsome prince. 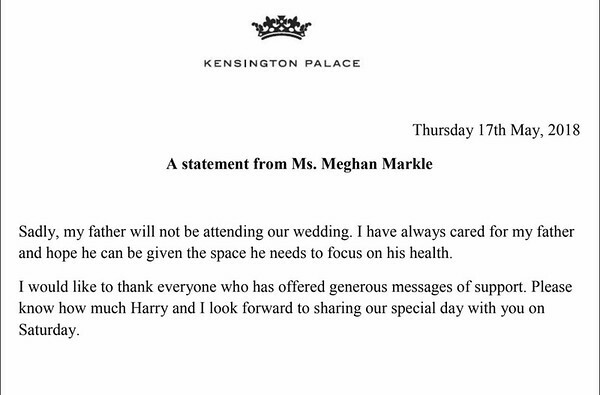 Meghan released a statement on Thursday as well, acknowledging that her father would not be able to attend the wedding. 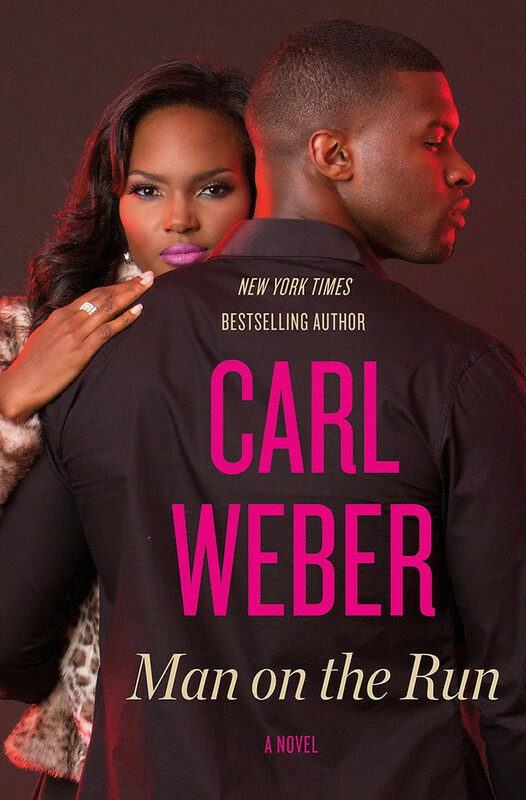 Her father was caught up in a paparazzi scheme. It involved showing him in staged photos viewing news on his daughter and Prince Harry. Her father admitted the photos were staged, but only wanted to try to improve his public image, due to the fact that the paparazzi was always hounding him. He stated he did not want to embarrass his daughter further. This had to be devastating for Meghan, because she still wanted her father there. But, her father's health was the main concern. He could not travel to make it to the wedding. I'm sure he will get to see his daughter in the near future. And I hope he makes a speedy recovery. Meghan Markle's royal wedding will be exciting and historic.